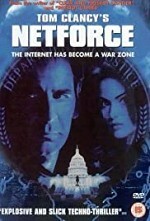 Watch NetForce: Set in the year 2005, a division of the FBI, called "NetForce" has been initiated to investigate Internet crime. A Bill Gates-type character finds a loophole in his new web browser which enables him to gain control of the Internet. Net-Force, headed by Kristofferson and Bakula's characters set out to stop him.